Span Art’s Wonder Women was a three-month participatory art project led by artists Nia Lewis, Rowan Matthiessen and Di Ford. 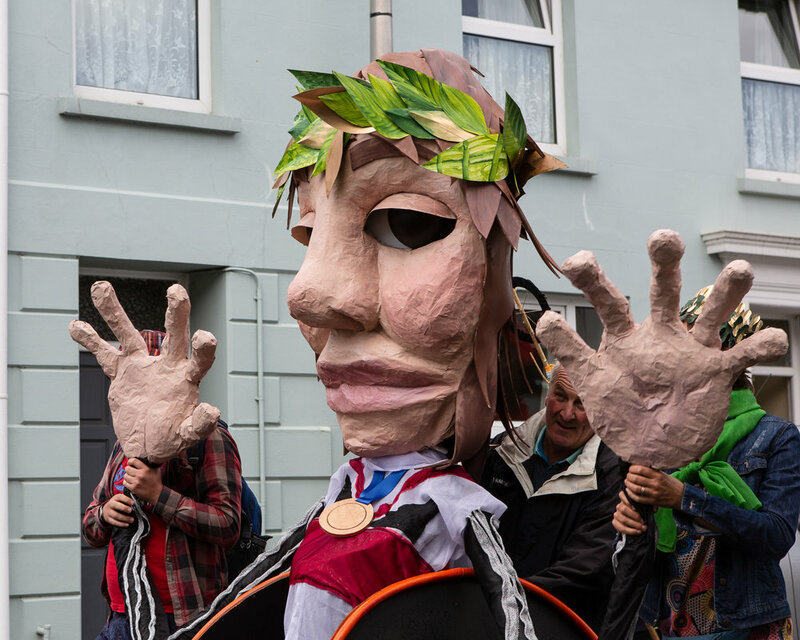 The project included a programme of community engagement and culminated in a spectacular, large-scale public procession at the head of Narberth Carnival on 28th July 2018. Puppet-maker Di Ford, alongside members of the community and in outreach sessions with Hafal Cymru, transformed the winners into giant puppets. On the procession, the puppets led ‘tribes’ made up of members of the public, each with different headdresses and tribal sticks. The Wonder Women parade was a huge success with nearly 100 participants and watched by over 1000 members of the public. The procession was described as “an amazing celebration of female diversity and power”. The project was funded by an ‘Awards for All’ grant from Big Lottery Wales. Nia Lewis is a Welsh textile designer and artist living and working from her studio in Wales.